Hey friends! I have a very simple tip to share with you, but it is one that could be life changing if you have numerous sinks, tubs and showers to keep clean! If you count yourself in that crowd, you want to keep reading this post today, and if you aren’t already doing it, you soon will be! And I predict you will never stop. Because it is inexpensive, it’s simple, and it’s easy, but most of all because it’s effective in making your bathtubs and showers shine! 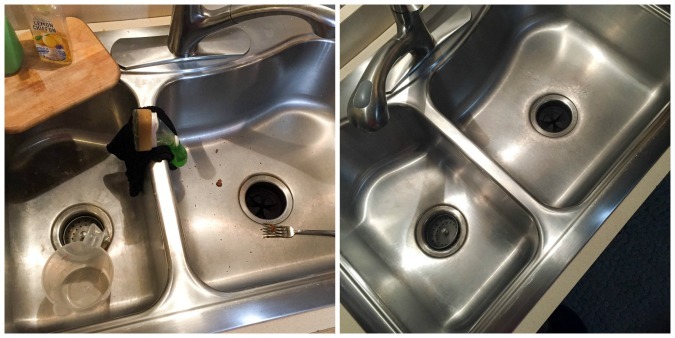 Read on to find out the best way to clean sinks,tubs and showers! 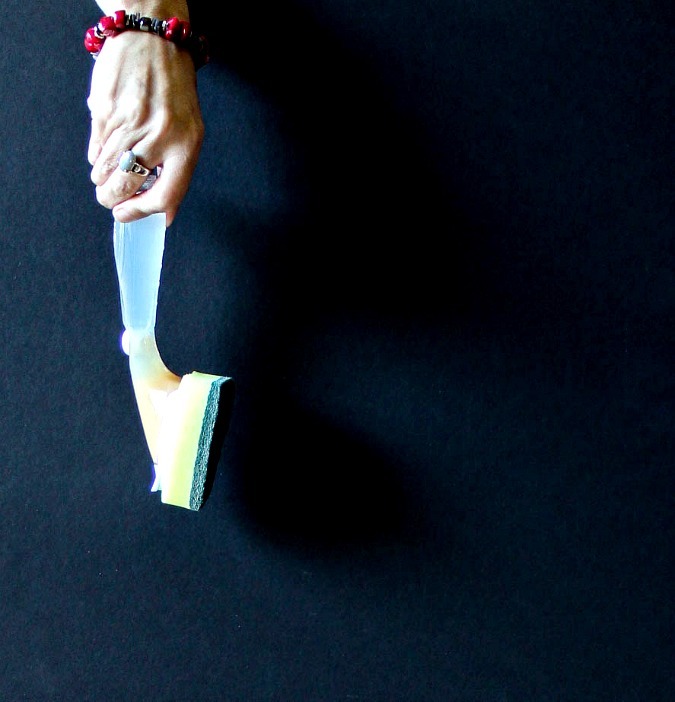 I use the green sponge with my dishwand, which is the heavy duty sponge. I have not had any problem with scratching of any of my tubs or showers, but if you are concerned about this, you might want to use the Scotch-Brite® Non-Scratch Scrub Sponge, which is blue. 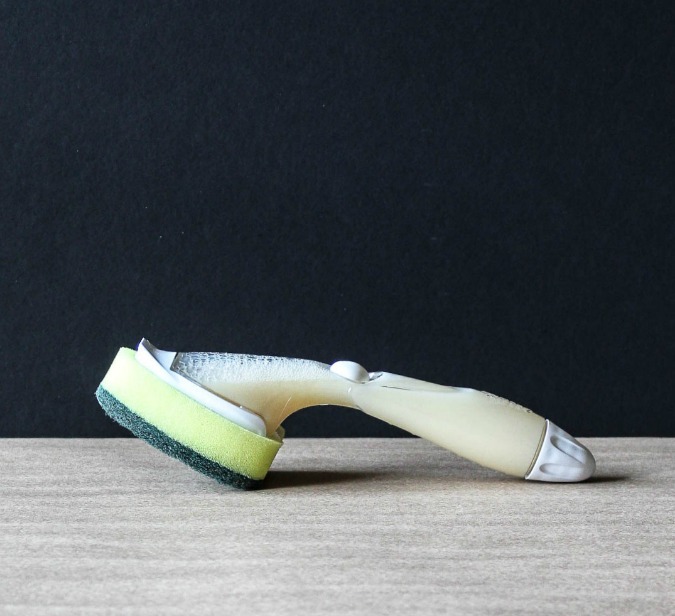 The green sponge is also great for kitchen, garage, or outdoors, and It has a heavy duty scrubbing surface and great for use on pots, pans and oven racks. The blue sponge is is non-scratch, and safely cleans non-stick cookware, counter tops, cook tops and windows. You start by filling the dishwand half full with dishwashing liquid of choice. 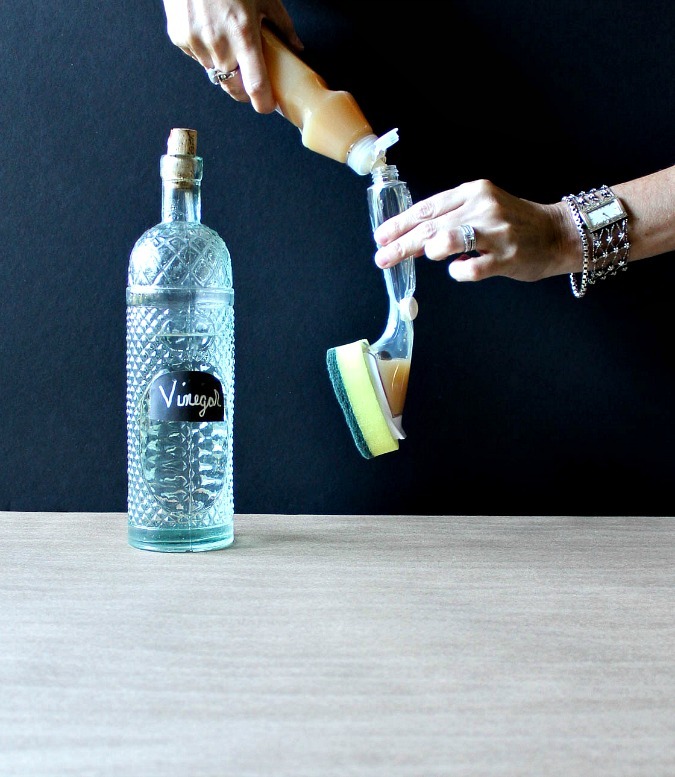 Next, you fill it up the rest of the way with white vinegar. Shake it up well and here is what you have! 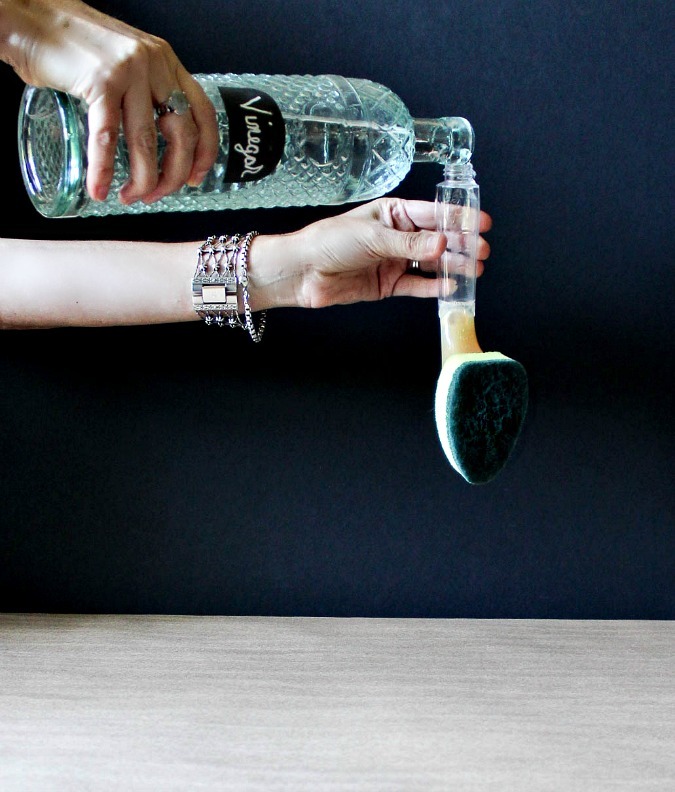 A magical sink, bathtub, and shower cleaner that will make your surfaces shine! 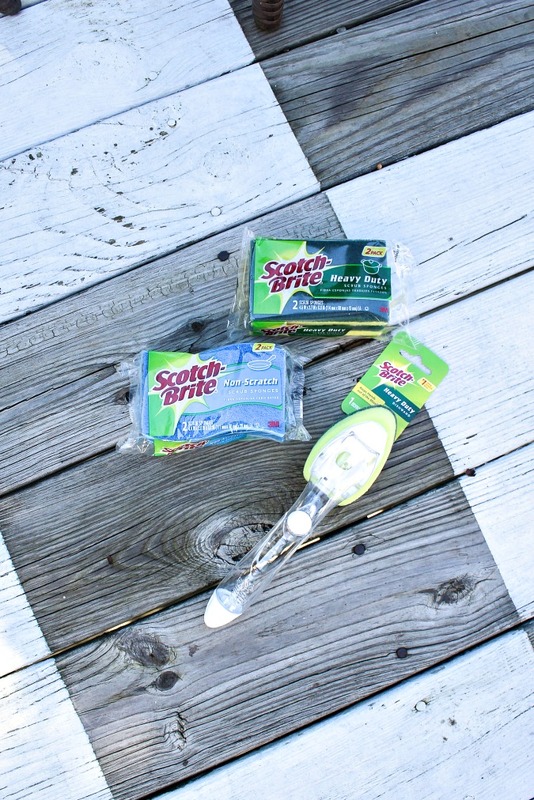 This is my absolute favorite Scotch-Brite® product, and I can’t live without it! I also use the non-scratch dishwand and sponge in my kitchen on a daily basis, especially to clean dishes that I am not putting in the dishwasher. I keep one of these dishwands filled and ready to go in all three of our bathrooms, and it works out great! I also keep the vinegar and dishwashing liquid mixture underneath of my kitchen sink in a squeeze bottle. It is always ready to go and it is easy to use quickly. My kids don’t even mind cleaning out the showers and tubs nearly as much when they can use this! And in my book that’s a win win! And let’s not kid ourselves here, I am always the one who cleans the kitchen sink! 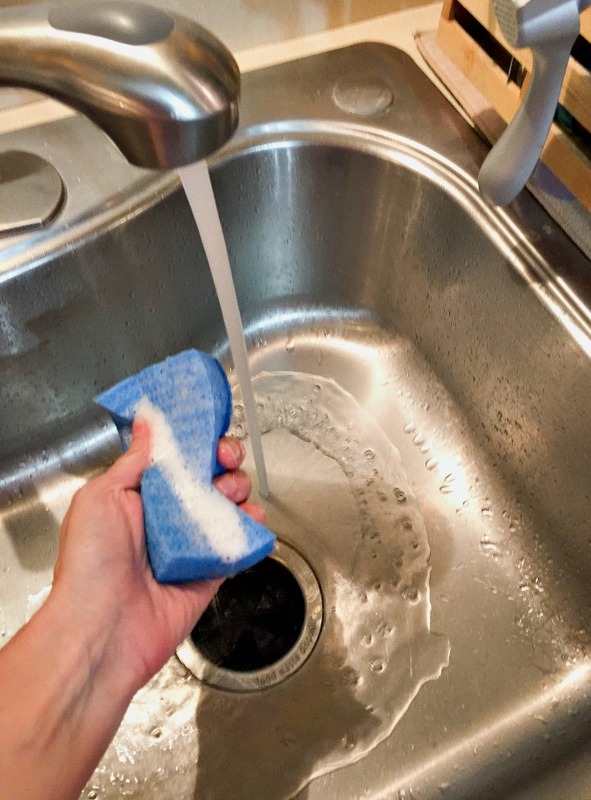 For my kitchen sink I use the Scotch-Brite® Non-Scratch Scrub Sponge because it gives me more control for the small crevices and bends in the sink. I just add some of the cleaning solution to my sponge, and I use the scratch resistant side to scrub the sink, then I rinse well, and use the sponge side to shine everything up and go around the top rim of the sink and edges. For my bathtub, I use the dishwand, and I always wet my surface with hot water before I start scrubbing away, and if I’m cleaning the tub, I leave a small amount of water stopped up into the tub because it seems to help if I keep rinsing the dishwand and re-wetting it. This is what the tub looks like after I have cleaned and scrubbed it down. I then let out the drain, and rinse thoroughly with hot water. 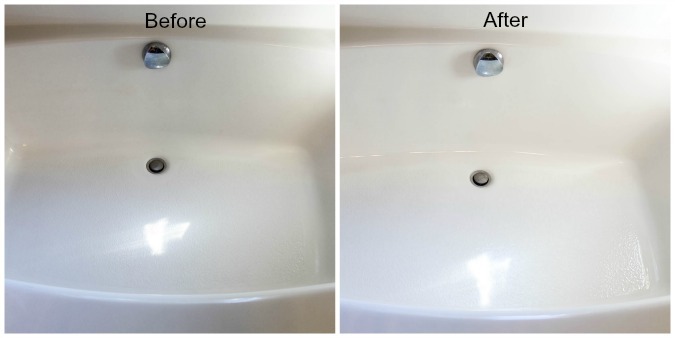 My before and after picture isn’t horrible because my bathtubs aren’t super dirty, because I try to keep them clean. But I still think you can tell that the after is much more shiny and bright! 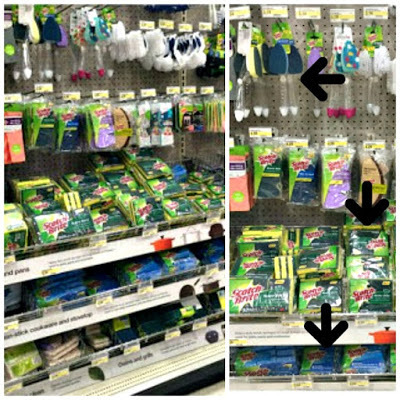 Scotch-Brite® Scrub Sponges are always in stock in our home. 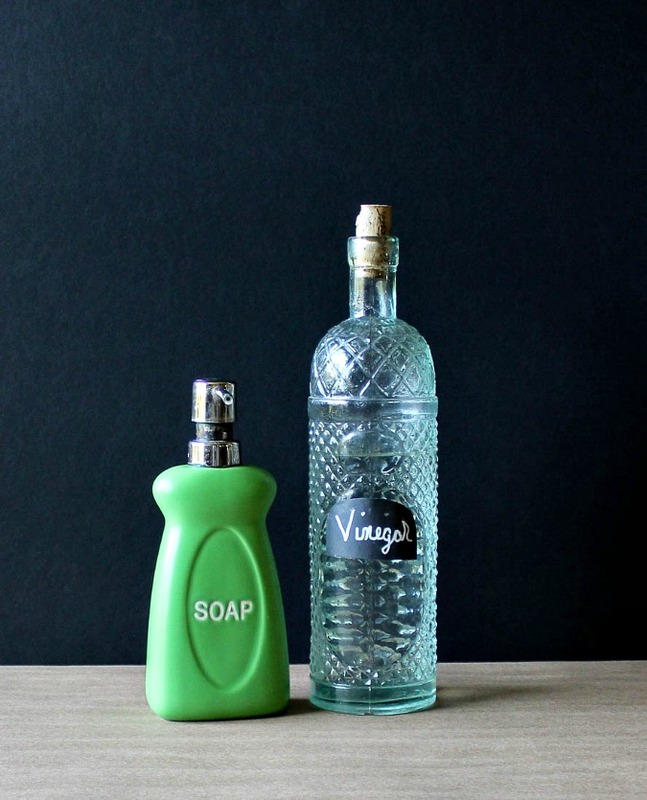 We just love them and I keep different types all over my house for keeping things clean! I use them to clean my kitchen sink and my stove, hard to clean dishes that need scrubbed out, and to clean floors, doors, and walls. I bought mine at Target, along with lots of treasures to entertain my middle school students! If you like a bargain, please check your Cartwheel App often, because Scotch-Brite® brand frequently has coupons. I am so happy to share my favorite way to keep my sinks,tubs, and showers sparkling clean with you today! What do you think? 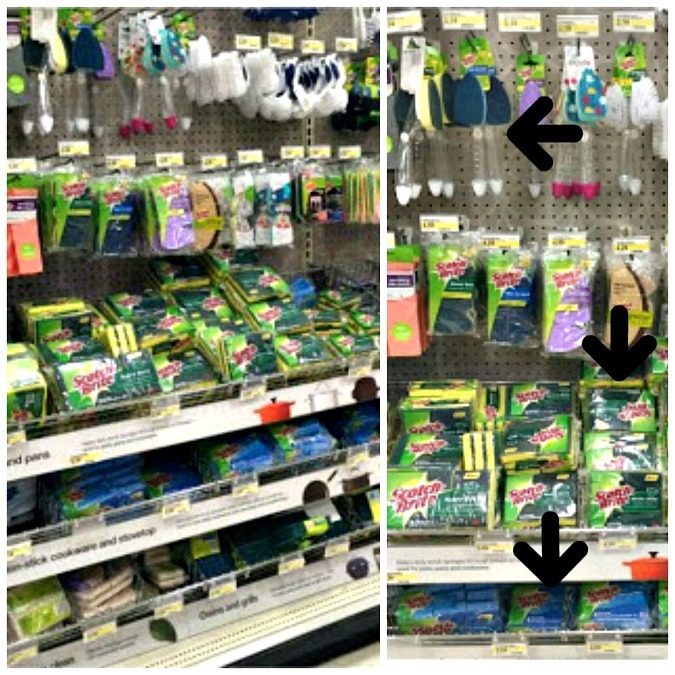 Have you tried this before, or are you headed out to Target right now to get yourself a Scotch-Brite® Scrub Sponge? I hope you will give this a try, and please do report back to me and let me know how you like it! Have a great Wednesday! You shared just awesome post. Really your explanation of all point just incredible. I like such a post. 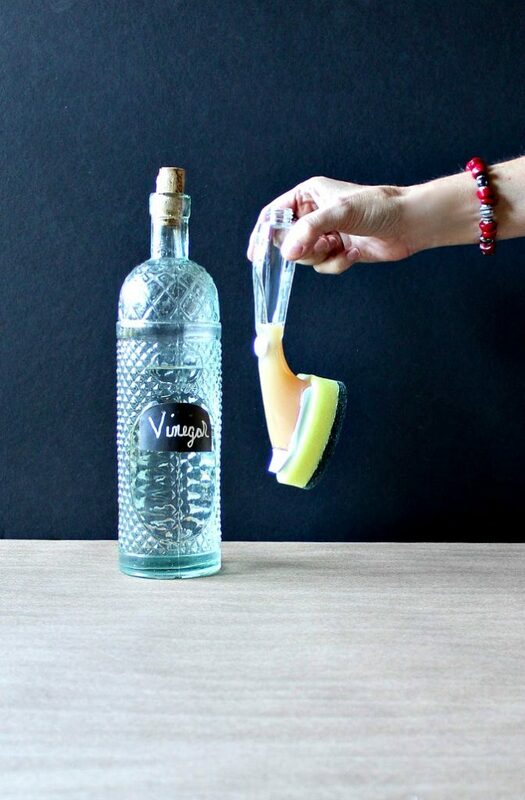 Your cleaning way is very helpful. I learned a lot of bathroom cleaning from your post. I’ve benefited. Thanks for sharing an informative article. Keep posting!! !